Kitty Kelley’s first book for children will be published January 3, 2017 by Atheneum Books for Young Readers, an imprint of Simon & Schuster Children’s Publishing. 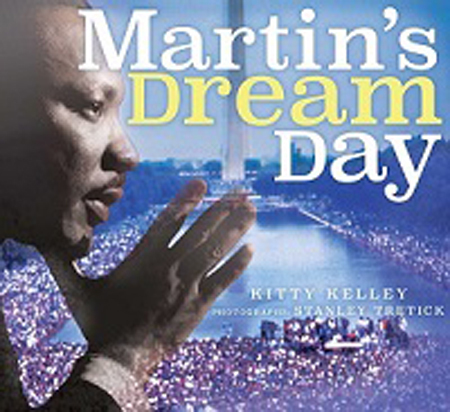 Martin’s Dream Day tells the story of the 1963 March on Washington, illustrated by Stanley Tretick’s photography. “Martin Luther King dreamed of making justice a reality for all God’s children so it seemed right to share the images of his dream day with children,” said Kelley. Kitty Kelley will donate her proceeds from this book to Reading Is Fundamental, the largest nonprofit children’s literacy organization in the United States. Buy in hardcover or in ebook format.